These cards blend a touch of whimsy and tradition with quick folds and sparkle using the Merry Moments Designer Series Paper and some added Bling! with Iridescent Ice heat embossing powder - optional, for you bling-a-phobes. The cards are designed to be beautiful, easy and affordable to make, whether you make a few or a lot! Share joy and warmth by sending friends and family heartfelt greetings with handmade cards this holiday season. You will receive supplies to complete four cards and the card packet/treatbox. Cardstock is cut to size, envelopes included. You will need to provide the stamps, ink, adhesive, and tools. 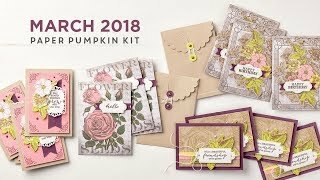 The Step-by-step instruction packet will guide you with full color photos, included are detailed supply lists and item numbers of all items used in the creation of the cards. Ready to Stamp: You will receive supplies to complete four cards and the card packet/treatbox in your kit. Cardstock cut to size, envelopes included. You will need to provide the stamps, ink, adhesive, and tools. 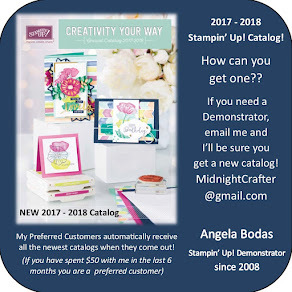 The Step-by-step instruction packet will guide you with full color photos, included are detailed supply lists and item numbers of all items used in the creation of the cards. I will ship your kit to you within 7 days from reciept of payment. 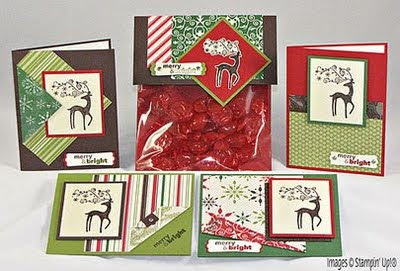 Card Stock – Chocolate Chip, Real Red, Old Olive, Garden Green, Very Vanilla - all pre-cut to size; Designer Series Paper - Merry Moments - Six pieces; Medium Envelopes – 4; Cellophane Bag – 1; Silver Brads - 9; Instructions: PDF file, 19 pages with detailed step-by-step instructions and full color photos, also included are bonus ideas and some alternative sample photos - these instructions can be used again and again creating sets with different color combinations, themes, and stamp sets for many personal styles.